The TPLF Carried Out the Goal of Dividing and Finally Internally Colonizing Ethiopia Where the Italians Failed: What Can Each of Us Do to Reclaim Our Independence and Avoid Destruction and the Disintegration of Ethiopia? I am writing this letter to each and every one of you about the current issues of great concern facing us in Ethiopia. In this case, it is NOT about the state of emergency, nor is it about the TPLF; instead, it is about us, the individual people of Ethiopia who care about the well being of our people and nation. 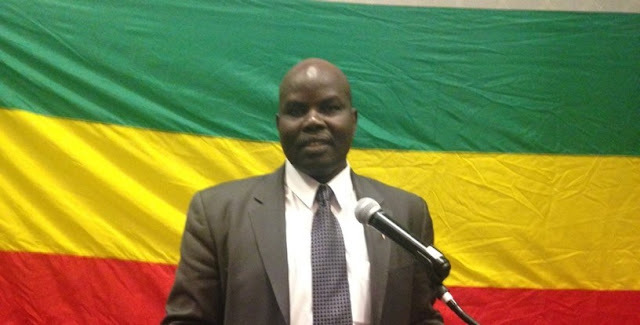 I’m the Executive Director SMNE (http://www.solidaritymovement.org) a non-violent, non-political, grassroots social justice movement representing the diverse people of Ethiopia. The SMNE is committed to bringing truth, justice, freedom, equality, reconciliation, accountability, respect for human and civil rights and economic prosperity to the people of Ethiopia. I speak to you as someone who, like you, has a stake in the future of Ethiopia. Despite all the distractions in our lives, as well as daily news reports about what the TPLF/EPRDF have done, I cannot be silent about the responsibility we each have to bring about the best outcome for our country during this time of such great risk to our country. Can each of us take responsibility to show self-control and restraint at a time where an emotional eruption of aggression could ignite a series of reactions that explode out of control? I call on Ethiopians to remain calm so we do not sacrifice our moral high ground and the larger issues at hand in exchange for the short-lived satisfaction of anger, vengeance or destruction that backfires and undermines our larger, more important goals. Please remember, the distance between aggressors and victims becomes less as victims retaliate without regard for what is right and wrong. How then are we different from those we blame for harms done to us? The journey we are on as Ethiopians is together. For the sake of the country and for the sake of the 100,000,000 million lives, we are at a critical moment with much at stake. If we choose violence and destruction, we all could lose much more than we can imagine— both personally and as a nation. Such violence could also cause us to lose our legitimacy as a movement for freedom and justice, to the benefit of the TPLF/EPRDF, and in doing so, we could lose sight of who we are as people. The main audience I seek to reach today is the individual person— not the leaders, not ethnic groups, not political groups or other organizations; it is about you, your family, your children, your community, your ethnic group, your descendants and your country. Individual choices make a difference. The current ethnic apartheid regime of the TPLF cares about itself; but, they have failed in their responsibility to the people of Ethiopia. They want to milk the cow but not feed it. How can we pull together to be different? Our history gives examples of overcoming threats from outside enemies, like when Italy sought to colonize Ethiopia; but now, we face inner threats from our own people. The TPLF are us, but they do not accept the rest of us as part of them. However, others from within Ethiopia, just like the TPLF, are also threatening our destruction. At the same time, they are also excluding the majority of people as they instead pursue their own goals and ambitions for power. Is this where we want to go as a people? Do Ethiopians want to support the disintegration of their own country? What would be the purpose of it? Could we ever replace the lives lost, the suffering of the vulnerable, the lost generation of children disrupted and displaced, the destruction of infrastructure and the trauma and reaction of many, all leading to a cycle of retaliation in the next generation? Who are we to be as people? How can we stand up for what is right? For Ethiopians to bring more sustainable change to Ethiopia that will benefit the people without regard to ethnicity, religion, political view, gender, region or other differences— Putting humanity before any other distinction— we must uphold, by law and practice, the value of every life. To assure one’s own freedom and justice, we must uphold the freedom and justice of others, again, without regard to being part of a certain preferred ethnocentric group— for no one will be free until all are free. However, some want to block this from happening. If the TPLF can be accused of being ethnocentric; how about others who agree with them? How can we respond when another ethnocentric group claims: “What we need now is not the democratization of Ethiopia but the disintegration of Ethiopia”? This kind of thinking is what is a threat to each of us, to our families, communities, ethnic groups descendants and nation. It must be confronted, condemned and challenged. Also, it must be done in a peaceful and respectful way; not forgetting that one person from an ethnic group is an individual and cannot necessarily speak for the entire group. Many others within the same ethnic group will vehemently disagree with others from within their own groups. Where do you stand? This is why I am sending this open letter. We need to think and discuss these issues. Let us reflect more deeply on the history of Ethiopia. On two different occasions, we were challenged by Italians. They were humiliated following their first defeat at Adwa in 1896; especially because they thought they would easily overpower the “lesser forces” of Ethiopia. The embarrassment from that failure fueled another attempt during the years 1935 to 1941 when the Italian fascist forces tried to “finish the job” of the colonization of Ethiopia. Again, they were defeated. One of the reasons why they lost was because Ethiopians came together with a common vision and agenda. The Italians tried to defeat Ethiopia by dividing the Amhara from the Oromo. Does this sound familiar? These foreigners almost succeeded, but thanks to some who spoke out, many Ethiopians began to see through the deception and manipulation. “Jagama explained why the Italian was not successful to instigate Oromo against Amhara resident in his area. He said that his uncle convinced the locals Oromo not to listen the enemy propaganda by telling them with very interesting example. The uncle told the people: here is grain of white Teff and black Teff and mix up. Once it is mixed up we cannot separate them back to white and black teff. Oromo and Amhara people lived together for generations. As we are not able to separate the “sergegh” grain, we cannot separate Amhara from Oromo. He told them we are one untied Ethiopian. His explanations were very effective, and prevented the killings. Jagama is an Oromo origin but understood the true meaning of Ethiopianess. He served Ethiopia’s best interest as an Ethiopian hero. He gave unquestionable sacrifice for freedom, national unity and integrity of Ethiopia. This gracious man has demonstrated a true nationalist stand. He believed that Ethiopianet is first and other things such as birth or buried places or languages are all a coincidence for him”. On the other hand, the Italians were successful in finding collaborators or traitors through money and the lure of power and ambition. Among them, allegedly, were the parent(s) of some of the members of TPLF Central Committee according to Gebremedhim Araya, in his article: Who were they then? Who are they now? Essentially, the fascist colonization of Ethiopia has been achieved by the children of these Italian traitors. What the Italians failed to do, the TPLF finished. Bribes and privileges have “bought” new traitors of today. The pursuit of dishonest gain and ambition for power and privilege has been realized for those willing to be part of it. The same tactics of divide and conquer, particularly in regard to the Amhara and Oromo are also obviously being carried out as modeled by the Italians of the past. Will the Amhara and Oromo fall for it this time? Getachew Reda, Ethiopian Minister of Communication recently said the Amhara and Oromo will never be unified because they are like “hay and fire,” but that is what he hopes. Instead, are the Amhara and Oromo of today more like the mix of white and black Teff Jamaga describes that brought them into the unified front that defeated the invasion by the Italians? Both the Italians and the TPLF have used collaborators and fomented division to attempt to achieve the internal colonization of Ethiopia. Are we smart and perceptive enough to see what is happening now? Or, are we so ambitious for our own ethnic group or for our own personal power that we try to take captive our ethnic groups so as to support ethnocentrism for ourselves once again? What was the effect on the children of Italian traitors after their betrayal of Ethiopia failed? Was there a way for the children of the next generation to recover? There may have been legitimate grievances rather than pure opportunism; yet, the shame that followed may have been deep and unbearable, creating an incentive to blame and hate everything “Ethiopian.” and actively try to destroy it. Were whole groups of people punished for the actions of the collaborators? Is there a deep wound and bitterness that has never been resolved through reconciliation? Is it time to do that now? We also must be cautious not to fall into the traps laid by the hurts, wounds, prejudices, punitive marginalization and justifications of our past so the past does not control the present; because if it does, the present decision will be burdened with baggage from the past, affecting our future. Get it? Is the present TPLF Central Committee, along with others, finishing the job for their fathers in retaliation for the condemnation of others? Is the pursuit of wealth without regard to one’s conscience a means of diversion and escape from the intergenerational shame and burden of the past? This burden must be lifted. It is now 2016, NOT 1896 or 1936. There is a way to come together as one people, the people of Ethiopia— to forgive and reconcile. However, it is NOT through the destruction and disintegration of our beloved country! Furthermore, the descendants of these collaborators or traitors are not the only ones facing intergenerational burdens, wounds, failures, grudges, bitterness and mistakes of the past that need healing, forgiveness and reconciliation. There are many more of us around from different ethnic and religious groups who need the same. We cannot boast, but instead, we must show humility and a willingness to come together for the betterment all. The challenge before us is huge and cannot be resolved with uncontrolled emotion, but requires patience, determination, wisdom, and a willingness to reach out to others. It requires sophistication and sacrifice for the greater good of all. Especially now, if we follow the impulse of emotions rather than a reasonable and larger viewpoint, we may choose to follow the model of Syria, Yemen and Libya. This is where the country is heading unless we are careful and take concrete and decisive action to right the wrongs and to not make new mistakes. The people should determine what kind of government they want, reclaiming their independence, rather than have internal or external opportunistic forces influence our decisions so we forsake the best for our future. Some may initially feel the anger that drives us to repeat the past, but we should not settle for that. No way does Ethiopia need another ethnocentric or dictatorial regime. Ethiopians should raise high the banner of principles. We should unite around common values, condemn the violence, and make sure no other ethnocentric group or dictatorship climbs to power to assert a claim that it is “our turn to eat.” Ethnic policies isolate people; just look at our current dilemma. Ethiopia needs nothing less than a country founded on universal principles that respect the well being of all. Our people have the responsibility to reject the ideas of those promoting destruction, a narrow ethnic-centric solution, division of the people and opportunistic power grabs by persons or groups. You must decide. We have to create the structure to make it happen—building institutions and supporting a leadership that is grounded on principles. I call on Ethiopians to come out from wherever you are to be part of a movement for the people, by the people and of the people. Say “no” to anyone who wants to recycle Italian tactics or to a “one tribe take all” power structure. These are defeating and dividing us from the inside and must stop. Join the movement. Worrying and not doing anything is not good enough. Claiming you love Ethiopia and not doing anything to stop the threat is not enough. Ethiopia is in a critical state and must confront the threat of inside destruction. We will rot from the inside out if we do not rise above destructive, self-centered politics to embrace the rights, dignity and worth of others. These are God-given values that will reap more than we can imagine in bringing about a healthier, more free, more just, more life-affirming and more prosperous Ethiopia for all that we can proudly pass on to future generations. May the Almighty God/Allah protect our people and country from all kind of enemies internal and external.